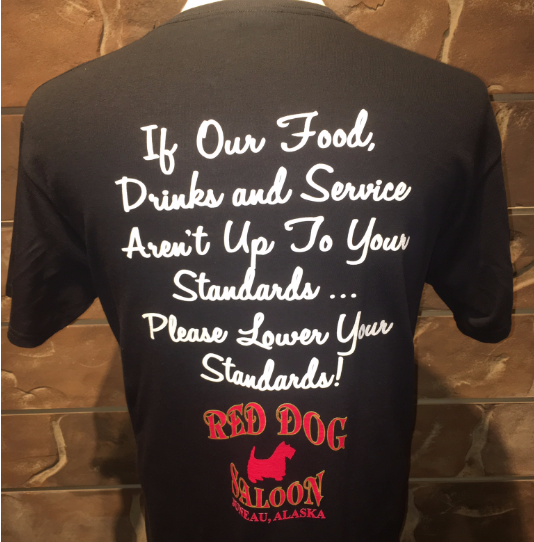 If our food, drinks and service aren’t up to your standards…please lower your standards! 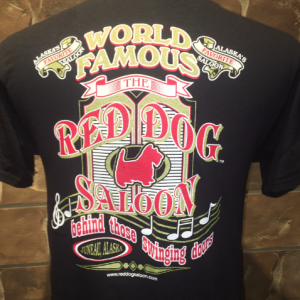 Our Standards t-shirt is available only in black, but sizes range from small through 3XL. 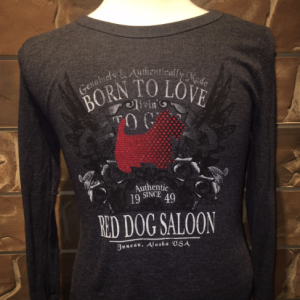 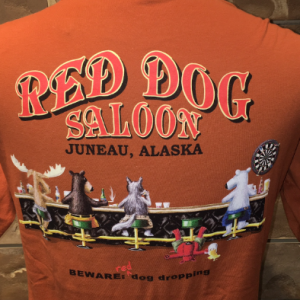 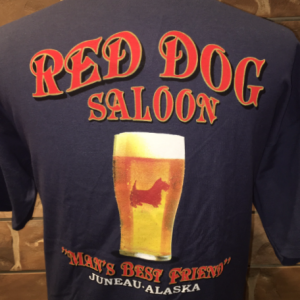 The back design features white text which reads, “If our food, drinks and service aren’t up to your standards…please lower your standards!” and a red version of the Red Dog Saloon logo.